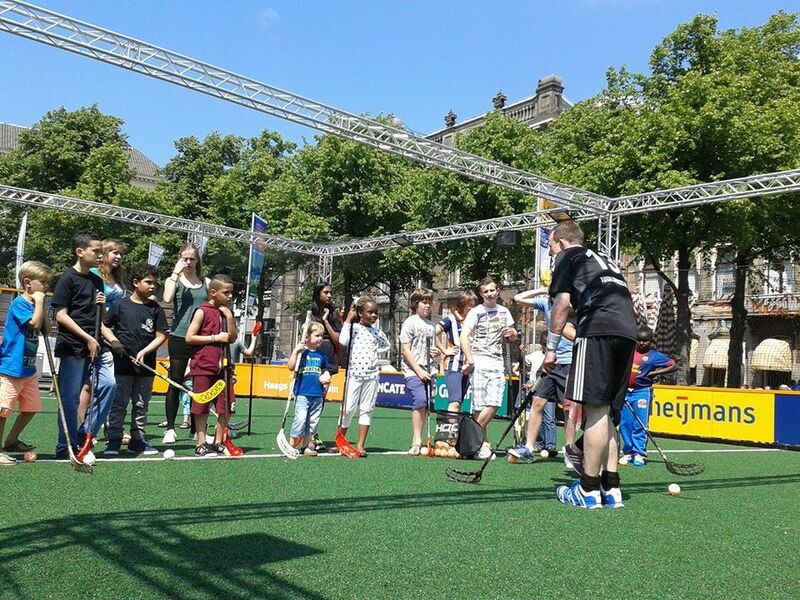 Between June 1st and June 14 HSK will be actively promoting on the The Hague Hockey Plein. The Hockey Plein has been specially designed to promote sports in The Hague during the WK Hockey 2014, taking place in The Hague. On June 1st we were supplying an afternoon of fun and games, where mainly children were introduced to the sports. 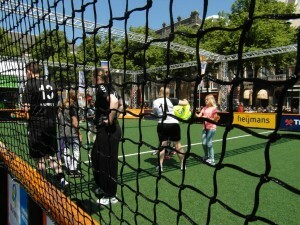 Besides free play in the hockey area, there was room for small matches and some exercises. The favorite activity of the day seemed to be shooting on our goalie Omar. Although it was a hot day, the children and our members were all actively playing and making the day a success. On June 10th we’ll be providing a late night workshop for students of the The Hague University and on June 14th we’ll be providing another afternoon full of fun and games on the The Hague Hockey Plein! Update: Due to the rain the workshop of June 10th was cancelled. We’ll reschedule, the new date will be posted when known!